1957 Rolls Royce Silver Cloud. Diamond white with leather interior. With a magic carpet like ride this prestine Rolls Royce will whisk you to the church and reception with elegance and style. 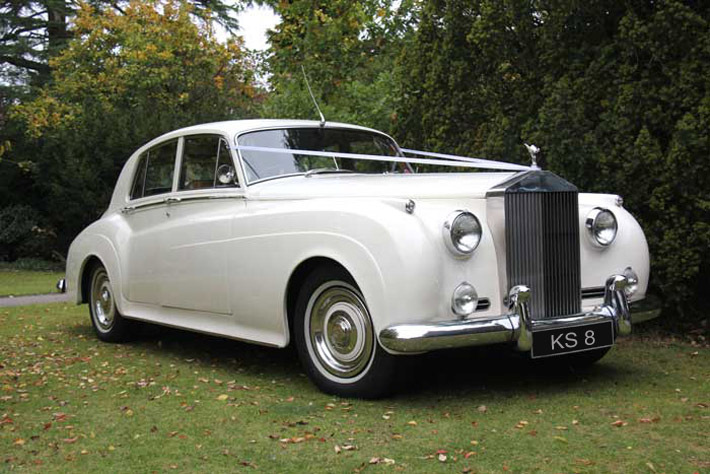 You'll be in good company, as this car was formerly owned by the royal family.